When I went down for breakfast there was a big arrangement of red roses, and a specially baked apple pie and some beautifully decorated food on the table. Soon after, General Korzoun walked in with the head of the training program and presented me with a big basket of white roses. I will send you some pictures. They told me my birthday present is coming this afternoon. I was told that the tradition in Russia is that the person having a birthday throws a party. So I have invited everyone for beer after dinner. I wish you all the best on your one of a kind trip and Good Luck. Happy Happy Birthday. While looking out the ISS window and seeing how close we all truly live together….search the heavens for the answer to how we can all live together peacefully and respectfully to one another. May God bless you and your crew and keep you safe throughout your journey. 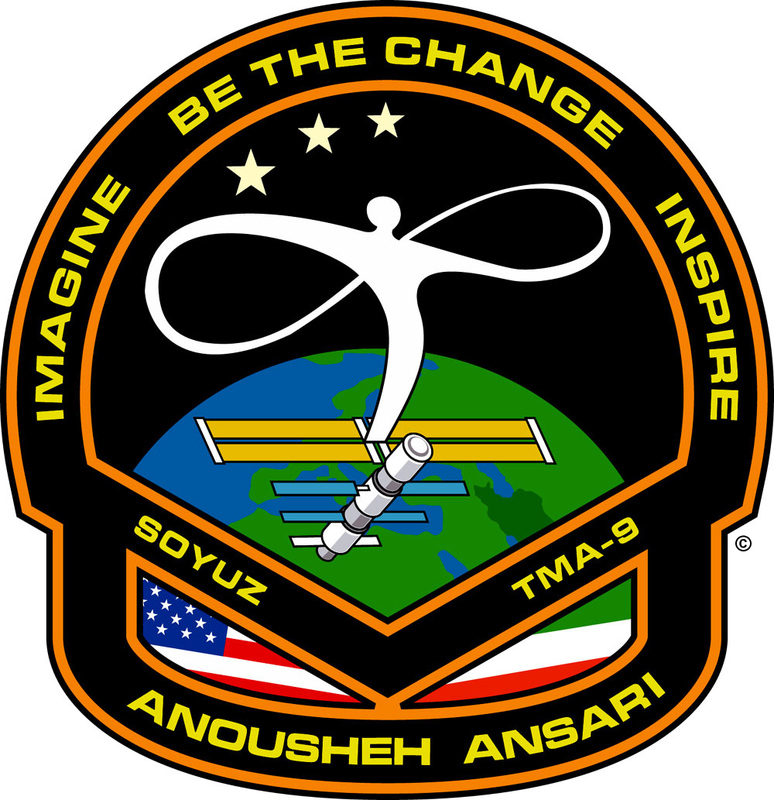 Anousheh, You carry the hopes and aspirations of hundreds of thousands to space with you next week. It is, however, quite clear that you are the prefect global citizen ambassador to the International Space Station in so many unique ways. The Ansari family is an inspiration to citizens around-the-world who share the dream of commercial space development in the years ahead. Not only do I not only wish you an enjoyable and very successful flight but a subsequent successful impact as a symbol, a role model, and businessperson of the 21st Century space sector. Live long and prosper! We will cheer for you at launch and landing! I have recently become aware of your good fortune to leave this Earth and for a little while touch the face of infinity. How I envy you. I am 60 years old now and for a lifetime have dreamed of what you are about to do. But if, by some miracle, the choice of who could go came down to you or me, I would happily step aside for you to go. Perhaps you, in your special role as a Muslim female and entrepreneur can in some way soften the hearts of humanity so that we all realize we are on this Earth together and presently there is no where else to go. We must find some way for peace. Hindu, Christian, Jew, Buddhist, Muslim and all the rest…..we are all brothers and must learn to act like it. May the God of the Universe bless you, whoever she/he/it is. My heart and prayers go with you. Wish you the best. we’ll be waiting for your stories during your stay and when you come back. I’ll be hopefully seeing it first hand one. Happy Birthday and good luck on your upcoming adventure! Wish I was along for the ride to take pictures! From the early days of Mercury and Gemini to the ISS, I have followed the visionary souls like you who venture into space. Regardless of race, creed, nationality or gender each “star voyager” adds to mankind’s knowledge of the universe. God speed and God bless. Question: how is your Russian? Kiss the face of infinity for me, and say hi to the moonlight. I can not wait to hear your story when you come back. I wish a happy happy time during your stay, and I wish your unique host (The Orbit) make you the best memories, my prayers go with you during your historic trip. I am a friend of your Aunt. Together, we vacationed in China, last year. She is so proud of you. I am, too. You are making history, as an American, a woman, and as an exceptional person. You are a credit to your family, your heritage and good people everywhere. I feel your excitement and Hope you will have a safe trip back and forth. It is interesting and honorable to see an Iranian woman out in the space. You’re an inspiration to not only muslims and women, but to mankind. Fly high and show the world the meaning of the unconquerable human spirit. We’ll be following your tour de force with admiration. Australia is with you. aya shoma emshab ba shabake 4 tv iran mosahebe mikonid? It’s so wonderful to finally find a way to write to you, especially on your birthday. Dear friend, I wish you a wonderful experience and pray for your safe return. I will follow you in your trip and will proudly share your dream with my kids, family and friends. My best wishes for your birthday and always. Send me a hug from up there when you look down to Los Angeles! Happy 40th birthday (I have 4 years to go until mine! ), and hope you enjoy your space flight! I wish I could go, but I can only dream. Please take lots of photos! I admire you for your couurage and foresight. I hope you get a chance to learn about a breakthrough technology by a fellow Iranian at http://www.ContourCrafting.org. The technology, currently under development at the University of Southern California and NASA will provide dignified shelter to billions of people on this planet and will facilitate the colonization of other planets possible by autonomous extraterrestrial construction. I would like to invite you to visit our lab in Marina Del Rey. I’m very proud of you, an Iranian in such position! I just read the news on your planned Space Flight on Iranian.com ..
As an Iranian Man, I Must say that I Am Proud of You ..
From One Engineer to another, I Want to wish you a safe trip first and foremost, and My Prayers are that you come back to Earth Safe and Sound ..
As Mark Shuttleworth did for our South African children, & especially my own son, I’m sure that your trip into space will help inspire & teach the children of the USA, & the world. God blees & a safe trip. I wish you a safe and enjoyable flight into space. I was just wondering, willl you be able to continue to blog from space? Has anyone blogged from space before? great many happy returns to yo on your birthday … your statement is very right and apt..realy you have show the world that there is no limit to what they can accomplish.. in few moments you have become my inspiration. Hats off for your determination, persistence and dedication, which has brought you so far. i feel deeply happy for your achievements and wish you luck for your future. May be one day i would see this living legend face to face. Congratulations on your birthday and on becoming the first WOMAN spaceflight participant. From the International Women’s Air & Space Museum in Cleveland, Ohio, USA. من زبانم خیلی خوب نیست برای همین فارسی می نویسم! تولدتون رو تبریک می گم و براتون آرزوی موفقیت دارم…راستش یکی از رویاهای کودکی من این که فضانورد بشم! وقتی شنیدم یه فرد ایرانی قرار یه فضا بره خیلی خیلی خوشحال شدم! My English is not very good so I have to write in Persian. Happy birthday. I wish you success and luck. When I heard an Iranian is going to space I became very happy. This was my childhood dream too. I hope would have you best birthday party with stars. also wish that you will be the best motivation for all girls (although I am a boy)around the world especially those who live in the developing countries such as Iran to believe in themselves.hope to see you on earth again with your expriences. May this be another small step towards a better tommorrow. God bless you for your courage and dedication. You are my dream in space. Happy Birthday Anousheh, and my best wishes for your stay in orbit. Your vision and courage help transform the dream of humanity’s future in space into reality. On behalf of the literary Science Fiction community, allow me to wish you every success and happiness! آرزومندم شما خانم سخت كوش و باهوش پروازي موفقيت آميز به فضاي شگفت انگيز داشته باشيد.دعاي همه ايرانيها پشت سر شما خانم با اراده خواهد بود.نميدونم شايد نتونيد فارسي بخوانيد اما بايد ياد بگيريد و با پشتكاري كه شما داريد حتما به زودي ياد خواهيد گرفت.الان ايران ساعت 19:45 هست. من از حالا منتظر هستم تا شما در برنامه آسمان شب صحبت كنيد.خيلي حس جالبي دارم.دوست دارم وقتي به فضا رسيديد اولين حرفي كه به زبان مي آوريد كلمه خدا باشه.موفق و سلامت بريد و برگرديد. [ Hello to the first Iranian- Moslem astronaut! May your trip “up” also become a trip “out” for millions everywhere… but particularly women, girls, muslims and those whose yearning dreams are yet to come. With unbounded admiration for you, Hamid and Amir. You and I used to sit almost at the same desk for one year in high school … such incredible memories. And today, you are due to orbit Earth in a few days; we cannot be more proud of you and your ambitions. I am sure your excitement right now is inconceivable. So, let me bid you godspeed in your journey. Happy birthday and congratulations on this trip. I got really happy when I heard that an Iranian woman, true Iranian woman, is to be the first female tourist in the space. I admire your vision and courage and wish you the best for this 8 day trip. Inshallah keh beh salamati miri va barmigardi, Inshallah. i’m an iranian girl & with ur work i become hopefull for nextdays. all of the iranian girls & my friends love u & sending hello to u.
thx for uy giant step!! !i’m proud of u.& i hope that u comeback healthy & better than ever! Salam khanoome Ansari;Vaghean jalebehe ke dar sale 2000 yek nevisandehe kodak va nojavane irani be name violete razeghpanah jayesehe Unesco ra dar adabiat bord va karash ham dar barehe avalin nojavane irani bood ke be madare zamin safar kard.esme ketabe oo istgahe mir bood .Dar madar no javane irani sheri ra mikhanad ke agar bekhahid man anra barayetan mifrestam. [Hello Ms Ansari; It’s very interesting that on 2000 an Iranian writer (Ms Violet Razeghpanah) won UNESCO award in literature. Her book was about first Iranian teenager makes an orbital trip. The book’s name is ” MIR STATION”. In orbit the teenager rhymes a poem… if you want I can sent you that poem. targih dadam in name ro be farsi benevisam choon shoma targih daid ba channal 4 iran mosahebe konid. I preferred to write this in Persian, as you preferred to talk to Iranian channel 4. I’m a teenager from Iran with lots of dreams. I’ll have a very difficult year this year… but as you said “Even for the most impossible dream, there is always a way to make it come true…” I want to enter university this year with best grades. I know I can do it. If you like remember my name. I am Ali Mohammadi. Although I don’t know anything about space but I want to continue my study in space engineering. God help you to be more successful, you are young Iranian hope. شدم…قبلا از طریق سایت یاهو کلیپی از شما دیده بودم. دیشب موقعی که گفتید آرزوهای هر چتد بزرگ با تلاش واقعیت پیدا می کنه ..به آینده فکر کردم که من هم می تونم روزی به فضا سفر کنم! من در زندگی شماو پروفسور حسابی را سرمشق خودم قرار دادم! tavaloodeto bebakhshid..vali ba takhir tabrik migam..
سلام خانم انصاری . نه من که تمام ایرانیان سربلند آرزوی سعادت هموطنان خود را دارند . دوست دارم در این سفر و تمام مراحل زندگی موفق باشید. I wish you happy working and healthy lifestyle. I hope you give more believe to Iranian peoples special Iraninan girls. I suggest you, before your going to space, please send some messages about your nice goals to Iranian peoples. So please say to them NO PAIN NO GAIN. I am sure this was your true Goal Programming. Just wanted to let you know that we are so proud of you and wish you a safe fligt into space. Good luck! First of all, HAPPY BIRTHDAY. I´m so happy for you, well done girl and have a nice trip. We´ll see you soon.